Quartz, a durable and attractive countertop material, has a rating of seven on Mohs' scale of mineral hardness; only topaz, corundum and diamond outclass this ultra-tough rock on the scale. Quartz, like its cousin granite, is a repairable countertop surface. Though many quartz countertop owners will never experience cracking problems, those who do can turn to at-home remedies for minor cracks or professional restoration services for deep fractures. Quartz and granite countertops share a similar appearance. 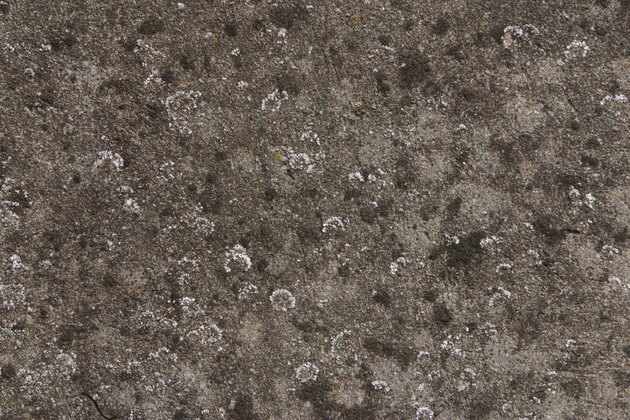 Though impact from a very heavy object can cause quartz countertops to crack, faulty installation is the most common culprit. Improper seams or imprecise installation near the inside corners often leads to cracked surfaces. Likewise, poorly fabricated cutouts for drop-ins, such as sinks, can cause cracking. Cracks in quartz countertops most commonly occur near seams, cooktops, ranges or sinks. The inside corners and edges of the counter also crack more easily than other surface areas. Super glue acts as a simple solution for small, hairline cracks and chips. Carefully fill the crack, allow the glue to dry completely and remove any excess glue with a razor blade. Color-matched epoxy resin is a remedy for deeper cracks and fractures. This strong, thermosetting adhesive -- an organic chemical bonding system -- is the same substance used to fill and secure seams in quartz countertops when they are installed. Professional repair services can eliminate surface-level cracks or conceal deep cracks. Though professional restoration comes at a cost that varies dramatically based on location and the size of the crack, it is far more affordable than replacing the entire countertop. Pro services repair cracked quartz with new, precision-injected epoxy resin bonds. Repairing your quartz rather than ditching the countertop is an eco-friendly solution, as it saves space in landfills and reduces demand for mining. If your quartz countertop is less than 10 years old, contact your supplier, contractor or state contractors licensing board. In many cases, countertops under 1 year old will still be covered under mandatory state warranty requirements, which may entitle you to free repair services or replacements. Quartz countertops naturally feature seams when installed; no seam will be completely invisible, though well-made seams will be inconspicuous.